You lumber onto the field prepared for battle in your Warhammer. 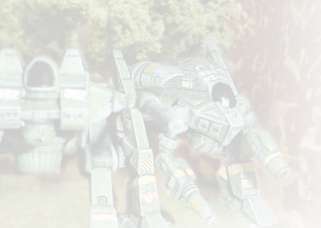 As you scan the horizon you find what you’ve been looking for, an opposing battlemech. Quickly scanning your foe, you notice there are no unit insignia displayed on the Marauder... obviously this guy has never been to Fighting Pirannha Graphics, the only licensed producer of Classic Battletech decals in North America. 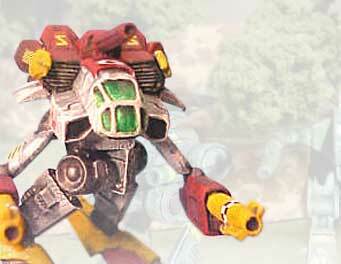 Fighting Pirannha Graphics is proud to ship high quality Battletech waterslide decals World Wide. We currently produce over 300 Clan, House, Mercenary, and Periphery insignia. We produce an extensive line of insignias from the Battletech Universe, including some discontinued ones and variations of insignias. In some instances we have created original artwork for units where the insignia is decribed but not depicted. We also offer sheets of numbers, checkers, warning stripes, and other images to help add "spice" to your figures. Each decal sheet contains 70+ decals in four sizes (5mm - 2mm). Decals will not fade. White backed, they will stand out against the darkest of paint schemes. Licensed from Catalyst Game Labs. Note: If you are interested in Battletech decals for a unit not available, please contact us and we will take it under consideration. No guarantee is made as to when or if those decals can be made available. 05/15/2012: Pricing changes have gone into effect. Previous date of 5/31 was in error, should have been 5/1. The webmaster apologizes for any inconvenience. Please review our Ordering Informarion page for new pricing. 02/06/2012: Long-overdue upade including the Word of Blake Shadow Divisions. Full update listed here. © 2002-2012 Fighting Pirahnna Graphics. BattleTech is a registered trademark of The Topps Company, Inc. All Rights Reserved.